A friend of mine recently gave me over 30 limes from his tree. If you live in a place where citrus trees will grow, you know that when the fruit comes in on your tree, there is usually way more than you need, and you’re eager to give some away. So what do you do when life delivers you limes? Make limeade, of course! 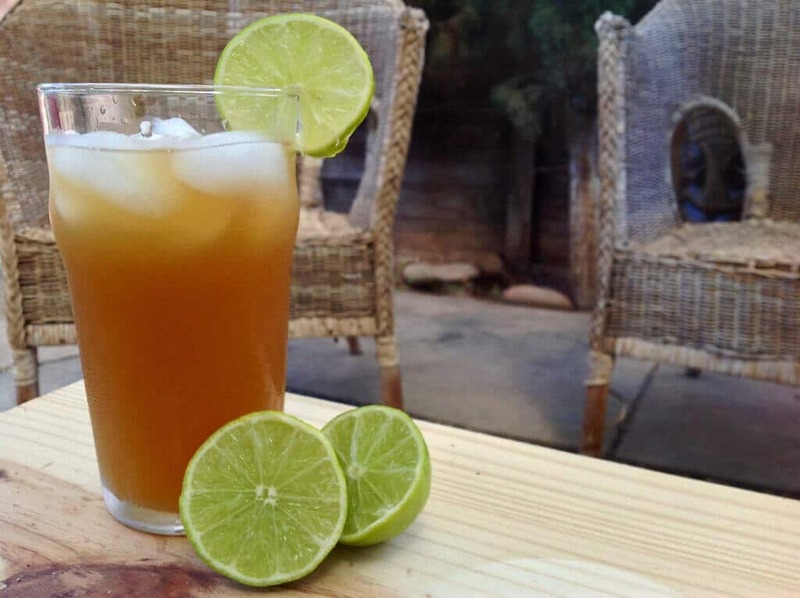 This refreshing summer beverage can be made with lemons or limes, but I think limes are particularly crisp and delicious tasting, especially in the end-of-summer heat. Most recipes for limeade or lemonade call for white sugar, but I’ve made this recipe with honey because it is a more natural, unrefined sweetener, it’s non-GMO (most white sugar is from GMO sugar beets), and if you use raw honey, it also contains a bit of nutritional value. Honey is also GAPS-legal and Paleo-friendly. You can also substitute stevia in this recipe, if you are a fan of stevia, or are following a low-carb or low-sugar diet. 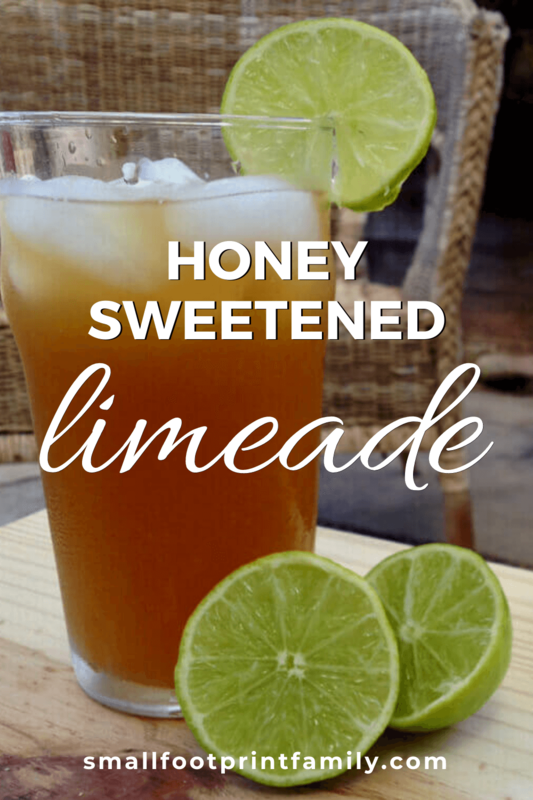 This refreshing honey limeade recipe is the perfect, crisp and delicious beverage to beat the end of summer heat. You can also sweeten it with stevia! 1-1/2 cups fresh lime juice freshly-squeezed This will take 10-20 limes depending on size and juiciness. Wash the limes well and juice them using your favorite method. Mix the lime juice into the cooled sweetened water, and adjust sweetener to taste. Serve over ice, and garnish with mint sprigs or lime slices. This looks delicious and I hadn’t thought of heating the honey and water first. I make a similar limeade using part Stevie and part raw cane sugar. I’ve read that using Stevia with a little sugar is better than alone. Can’t remember why now, but it also gives it a more natural taste. I make it by the glass with lots of ice, 3 T. lime juice (which I squeeze ahead and keep in a mason jar in the fridge) 2 t. raw cane sugar and enough pure organic Stevia to taste. But I will try to honey with the Stevia since it would be even healthier.